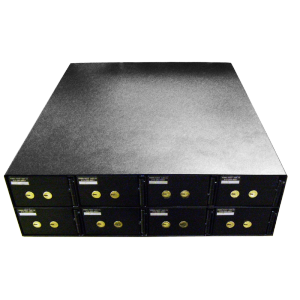 The Perma-Vault Front End Safe Deposit Boxes are custom built in a variety of sizes and configurations. 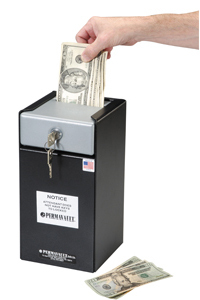 Each safe door is equipped with a dual custody safe deposit lock. Your guest holds one key and the hotel manager holds the other. It will require both the presence of both to open the box. 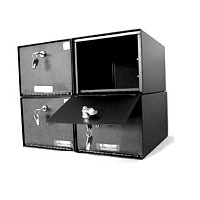 Dual nose safe deposit lock with two operator keys. For a Front Desk Safe Deposit box with more openings, view our Front Desk Safe Deposit Box (Large Capacity). Perma-Vault Front End Safe Deposit Boxes offers an affordable alternative for guest security when in-room guest safes are not available. 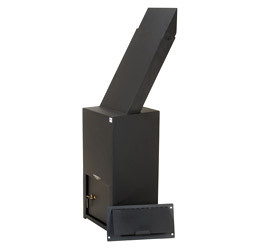 Choose from a variety of popular sizes or configure to specific requirements. 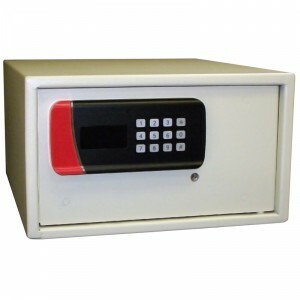 Each safe door is equipped with a dual custody safe deposit lock. Your guest holds one key and the hotel manager holds the other. It will require both the presence of both to open the box.